Find out how you can be fully covered with our most comprehensive travel insurance policy. Get your quote today. Do you want all the bases covered for extra peace of mind on your trip? Then you might want to consider Comprehensive Travel Insurance. It means you’ll have our highest level of protection for you and your family on holiday. Get your quote for comprehensive travel insurance online here, or talk to us now on 0800 033 4902. Why should I choose comprehensive travel insurance? So buying a good quality travel insurance policy always makes sense. With a comprehensive level of insurance you’re adding extra breadth and depth to your cover. It might be something like losing your passport, or having your luggage mislaid or personal items stolen. It could be for medical bills abroad, or even flying you home if you’re taken ill.
With our comprehensive level policy, you’ll be able to set off secure in the knowledge that you’ve got the very best cover should the unforeseen happen. In just a few minutes you can be all set for city-breaks, sea and river cruises, sun, snow… in short, you’re sorted. You can get your tailored quote for Comprehensive travel insurance online here, or talk to us now on 0800 033 4902. You’ll be pleased to know to we can cover 98% of people who contact us**. Sadly, there are a few conditions we can’t cover, but we promise we’ll do everything we can to help you find the travel insurance that fits your needs. If you have got a pre-existing medical condition, we’ll ask you to complete a medical screening. This helps us decide how we can cover you on your trip. It only takes a few minutes and it’s easy to do. What makes our comprehensive cover 5 star rated? Our Comprehensive Travel Insurance policy has been given the highest possible rating from Defaqto – the most respected evaluator in the insurance industry. So you know with our Comprehensive cover you’re not just in safe hands – you’re getting the very cream of the crop. What types of policy can I choose from? Single Trip Travel Insurance is ideal if you’re going for a simple one-off holiday or trip and it covers you for up to 3 months. And if you need cover for an even longer trip – that’s no problem at all. 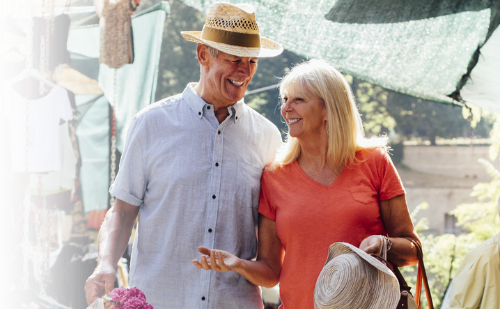 Upgrading to a Long Stay policy means you’ll be covered for up to 18 months if you’re under 65. Annual Travel Insurance could be better for you if you’re planning on taking more than one holiday within a year. It can cover all of your trips in that time. What does our comprehensive travel insurance cover? If you have any questions about what is covered, please just speak to us on 0800 033 4902. Our travel insurance specialists are always glad to help. What optional upgrades can I add on with a comprehensive policy? If your medical circumstances or travel plans change before you go on your trip, it’s really important that you get in touch promptly and tell us. If you don’t let us know of changes, then it may mean that we can’t cover you for a claim later on. So if you have an update on your medical conditions or medication, or you’ve decided to add something extra to your holiday, please do call us. We’ll do our best to see if we can increase the coverage where necessary. You can also call us to upgrade your policy at any time as long as you haven’t travelled or made a claim yet. Please be aware: we can increase your policy coverage, but we can’t reduce coverage in return for a partial refund. So do check that you’re quite happy with the level of cover when you book. Can we buy our comprehensive travel insurance together? Yes. Our customers find it can often work out cheaper to buy policies as a couple if you live at the same address, rather than individually. Another plus of buying your insurance this way is that if another person on your shared policy falls ill, you’ll be covered for costs you incur. As an example: if that person suddenly has to be flown back, and you have to cut your own holiday short as a result, you’re covered for that. See our online policy documents for the level of cover available with a Comprehensive policy. What if I need to have medical treatment? For an non-emergency medical matter you can use our medical emergency line for help. It doesn’t matter where in the world you’re calling from, we’re on hand 24 hours a day. Our multi-lingual team can help you find a doctor and we’ll even provide translation services if it’s necessary (and you can reverse the charges to us if you need to). If your medical expenses come to more than £350, we’ll also try and settle the bill directly with the medical team where we can. **98% of people covered from 2016.